Over the past few weeks, we’ve released a series of blog posts on how you can use the JFrog CLI, Artifactory, and GitHub Actions to build awesome software. 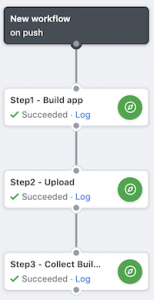 Last week we created and published a Go module and recorded the Build Information and in this final post we’ll build and store the binary in Artifactory. When we released Artifactory in 2006, we wanted to build a product that could manage any type of package and any type of artifact in a native fashion. So you could say that managing binaries is kind of our thing at JFrog. In this final post of the series, let’s upload the binary to Artifactory so we can distribute it from there! The action will automatically configure to use the Artifactory server you’ve configured. You can get the modules either from Artifactory (if you’ve followed along with the other blogs) or from GitHub. The code below shows how to get the modules from GitHub, simply remove the --no-registry flag to get them from Artifactory. Getting the binary into Artifactory is a matter of simply uploading it and that is a task the JFrog CLI can do very well. Let’s also change the build number to see a few more builds and see that the binary belongs to a specific build later on. As you’ve done in the previous blogs, you can collect the build information. This is very useful because it’s a different job than last time and there could be differences in the environment. Three steps, three ✅! We’re doing great here!! Like with all the other blogs, you can look at the logs and see the results! [Info] Collected environment variables for my-build/2. In the build information, you’ll find a new build too! And there is a second build! 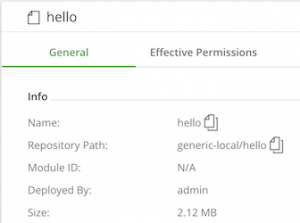 As we said before, we created our CLI to make it easy to create scripts to connect to any of the JFrog tools. That ease of use, together with the power of GitHub Actions will accelerate the speed at which you build and publish apps!